How Often Does Ace King Hit? Ace King is a hand that players either seem to love or hate, but either way, AK should be been one of the biggest winning hands in your database. In this video we’ll analyze how Ace king hits flops and begin to understand the true versatility of this hand. Feel free to either enjoy the video or read the script down below. Enjoy! For this video I’m going to use the tool Flopzilla. This is powerful software that you can download from flopzilla.com, and I’ve done an complete video using this software as well. (free flopzilla video) So let’s get to work! Let’s start by plugging in AK off suit on the left. 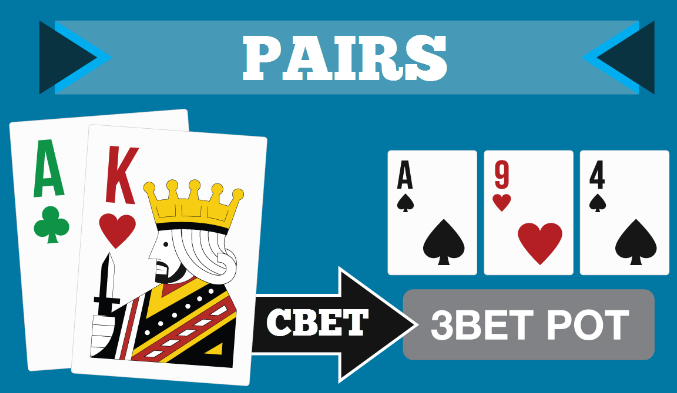 We notice that it smashes the flop about 4% of the time with two pair or better. It flops top pair 29% of the time, and whether the flop is Axx or Kxx, it’s always top pair top kicker. It flops a gutshot 11% of the time, and all of those will contain either a pair or one or two overcards. And we see AK flops ace high the majority of the time at 67%. If we switch over to AKs for a moment we notice that it smashes the flop just a hair more often at 4.6%. It flops top pair the same 29% of the time and gutshots at the same 11% of the time. But because it’s a suited hand it now flops a flush draw 11% of the time which will always be a nut flush draw. And lastly, the hand misses the flop 66% of the time, almost the exact same as AK off suit. Let’s talk about single pairs for a moment. Ace King in general flops a single pair 29% of the time. All of those pairs are going to be top pair top kicker, which means a couple things. These points may seem basic, but they are often times overlooked. For instance, if you take a situation where you 3-bet with AK and villain calls, and then you cbet on an A94 flop…many opponents assume you’ll cbet that flop everytime. Of course, AK won’t hit the flop every time…in fact it misses the flop on average 2/3 of the time. This is very standard for hands with unpaired broadway cards, so knowing how to play when the hand misses the flop is crucial. But even when AK misses the flop it still usually has some equity. When it has 6 outs going into the turn, it’ll turn a top pair about 12% of the time. If AK has 6 outs and expects to see both the turn AND river, it will improve to top pair almost a quarter of the time. These are important considerations to keep in mind! Going back to preflop though, AK is a hand I suggest playing aggressively far more often than you play it passively. I enter pots with raises when holding AK, 3bet it as a default, and look for spots to 4bet and 5bet with it. But why? When I see a student 3bet with AK, I always ask them for their reasoning. Usually, they respond with “I’m 3betting AK for value!” But let’s quickly look at the equity of AK v some common ranges and see if it’s ACTUALLY for value. Flopzilla actually has another awesome functionality, where we can plug in a hand versus a range and see equities, flop %s, etc. So on the right we’ll plug in AdKs and on the left we’ll plug in a strong range of TT+/AK. If we were to 3bet AK and villain would only continue with TT+/AK, he has a 60/40 equity edge and flops the best hand 54% of the time. That doesn’t sound like a value 3bet to me! If we widen villain’s continuance range to 88+/AQ+ we still don’t have an equity edge. We will flop the best hand about 35% of the time, but again, this still isn’t a value 3bet in the sense that we don’t have an equity edge! Sure we get villain to fold some hands preflop, like AJ, and KQ…but those are all hands that we beat and by 3betting we simply got him to fold his equity share. AK doesn’t actually have a decent equity edge until villain continues with 77+/AJ+/KQ. Which means that if villain is fishier, or simply doesn’t like folding versus 3bets, our 3bet with AK can certainly be for value. It also means that we need villain to continue kind of wide and with hands we dominate. Whether that’s with AJ or 4betting bluffs…we just need him to continue with those second best hands often enough to make a 3bet with AK a value 3bet…rather than a semi-bluff. Aggression with AK overall is just a good idea. It gives us the chance to pick up the pot outright preflop, if villain calls our 3bet we can use our initiative to apply pressure postflop, possibly get him to fold out the same hand postflop, and our hand has decent equity going postflop against most reasonable ranges. It’s just always a good idea to know WHY you are 3betting or 4betting to ensure it’s actually going to be the best line. As always, the goal isn’t to tell you how to play AK in 100% of situations. It’s to help you understand how the hand hits flops and how the hand tends to play best. There are times when I’ll just call an open-raise or call a 3bet with AK, but it’s always with a plan. And even when I 3bet with AK I still have a plan on how I’m going to react against a 4bet. But knowing how the hand hits and the kinds of equity it has versus ranges, can help you take much better lines with this tricky hand!